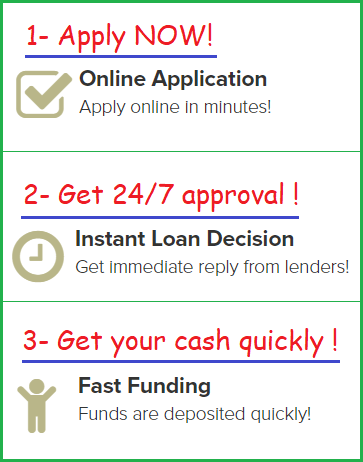 These Terms and Conditions of Use are the formal agreement between DenverPayday.Loan (hereinafter we, our, ours, us, Company) and a user (hereinafter User, Users, You, Your, Yours) of the Website (hereinafter Website, Site), who continues to exploit the Website and attempts to use the services presented by the Company. The Terms and Conditions of Use regulate the relationship between the stated parties in point of the use of this Website. If You reject to these arbitration clauses, then You should send a letter in writing to the Company within ten days (10) after accepting these Terms and Conditions of Use. You must send the request to: DenverPayday.Loan. The letter should clearly have Your first and last name, telephone number, address and email address along with the statement "I reject the arbitration clause of the Company stated on its Website on its Terms Conditions of Use page." In case You reject this provision, You are obliged to bring up a legal case to any court authorized to handle this case within one (1) year after the damage was determined. After the stated term the claim will be deemed void. In case You have a request, complaint or enquiry regarding the services provided by the Website, You can contact us via this email contact@DenverPayday.Loan . In case You consider Your issue treated improperly, You can also contact the corresponding organizations in Your state of residence authorized to review or resolve the cases of the kind.